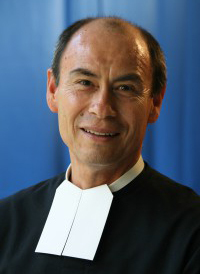 Brother Gustavo Ramírez Barba, FSC, has been appointed by Superior General Brother Robert Schieler, FSC, to serve the Institute of the Brothers of the Christian Schools as General Councilor. Following a proposition of the 45th General Chapter, Brother Gustavo will accompany Lasallian Higher Education (Prop. 18). Brother Gustavo serves on the Board of Trustees at Saint Mary’s University of Minnesota. His role before being appointed General Councilor was as Visitor of North Mexico.